Join PleinAir Magazine publisher Eric Rhoads for a private painters event. A week with friends, laughter, painting and bonding. No exhibition, no workshop, no pressure. Relaxation, opportunity, and adventure await you when you join Eric Rhoads for a Publishers Invitational painting event. The purpose of this event is painters painting together. Nothing more, and certainly nothing less. Though we may come up with something unexpected, there is no event other than daily painting and meals so you should expect nothing but painting. It is simply, pure expression. 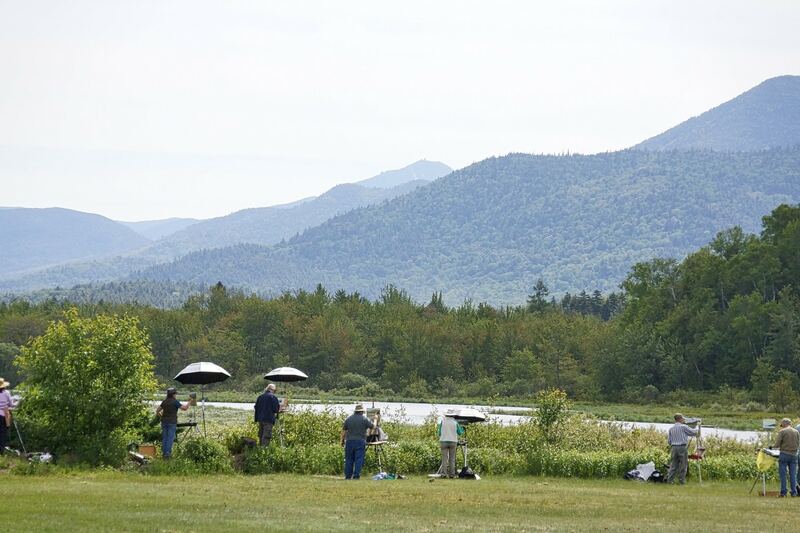 PleinAir publisher Eric Rhoads invites you to be one of 100+ people to paint for a week in June. 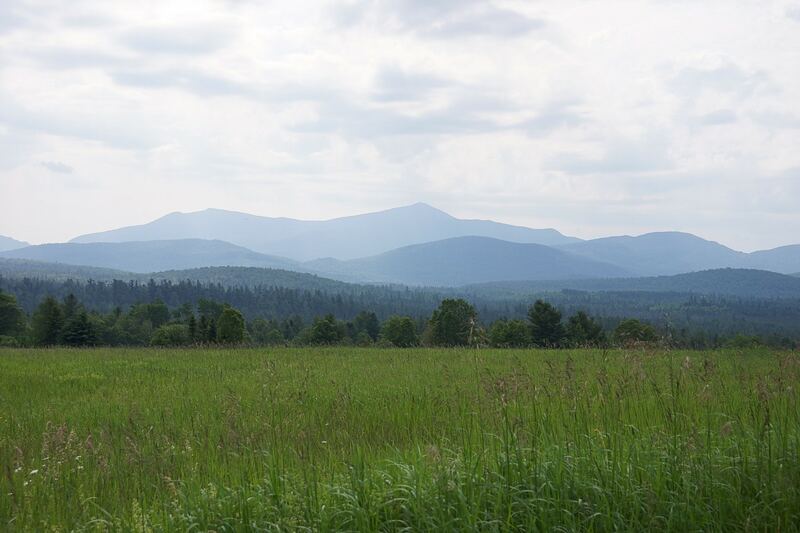 You become a member of the ADIRONDACK MOUNTAIN SCHOOL PAINTERS. A week with friends, laughter, painting and bonding. No exhibition, no workshop, no pressure. 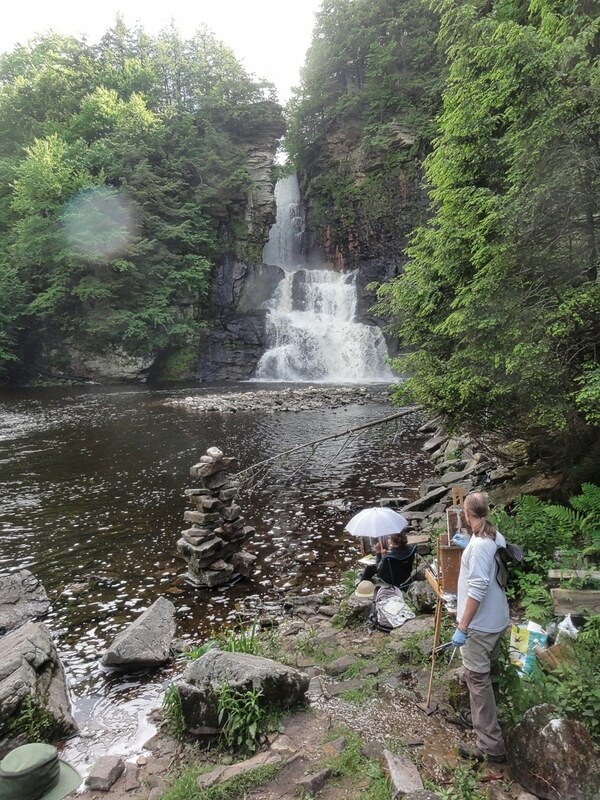 Just painting with new friends for six days in the beautiful Adirondack Mountains of New York. One price includes lodging and meals. Here’s why most of our first timers can’t help but join us for a second time.